Is it worth waiting for the support of this game? When's this supposed to happen? Left 4 Dead 1 is a relatively old game. Is there a reason why it hasn't been supported yet? You guys are the only ones who have requested this so far. I don't think we will add support for this in the near future. 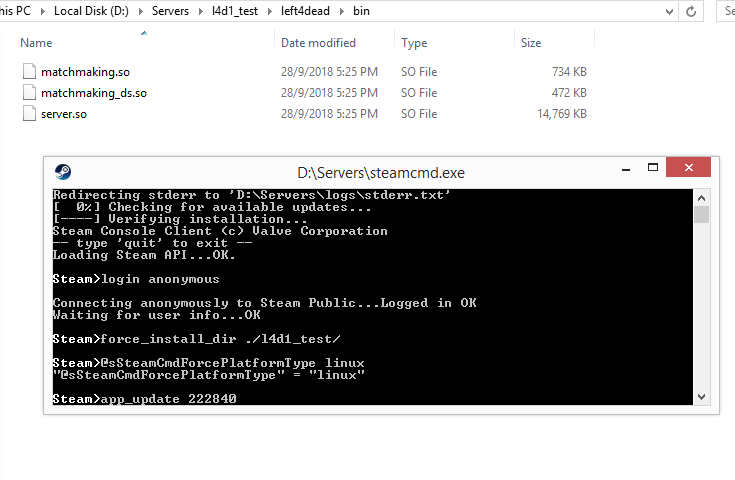 Since the switch from hldsupdatetool to steam pipe (steamcmd), it's no longer possible to download the L4D1 Server for Linux. You can download the server files for Linux by using @sSteamCmdForcePlatformType linux before app_update. It's a bit late to support this old game. It's even tricky to get the dedicated server for linux.